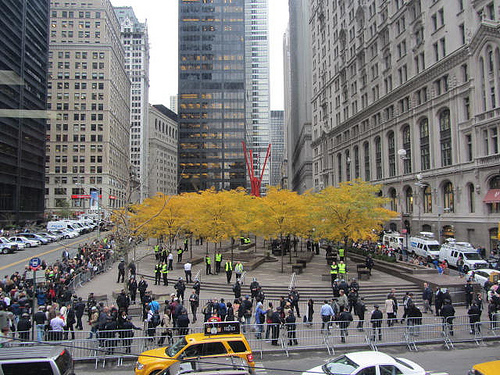 The post eviction era of Occupy Wall Street kicked off with a march from Tribeca’s Juan Pablo Duarte Square back home to reclaim Zuccotti Park. The march went largely unsupervised by the NYPD, culminating in the protestors spilling off the sidewalks and onto Broadway at Walker Street, holding up southbound traffic as they chanted and slowly stepped their way toward their former home. One man, clad in shirt and tie, called out from a second story window, pleading for the protestors to stop. 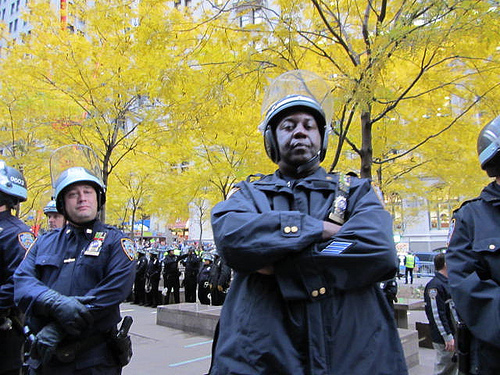 But the clump of boisterous protestors stayed until NYPD officers, like cowboys on horseback, came streaking down Murray Street, blocking off Broadway and cutting off protestors, pushing them back onto the sidewalk. No clashes with police ensued. 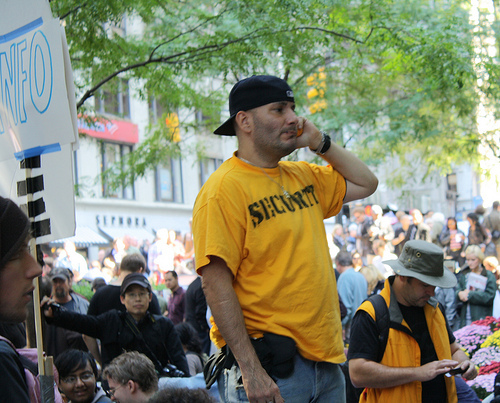 The group reached Zuccotti Park where they stood shoulder-to-shoulder, smashed and clumped together. The protestors were allowed back in the park in the evening, but are no longer allowed to camp there.